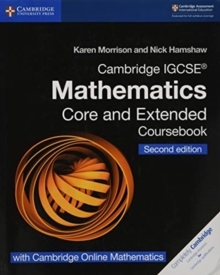 A new series of bespoke, full-coverage resources developed for the 2015 GCSE Mathematics qualifications. 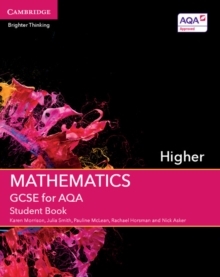 Approved by AQA and created specifically for the GCSE Mathematics Higher tier specification for first teaching from 2015, this Student Book covers the new GCSE Mathematics qualification. 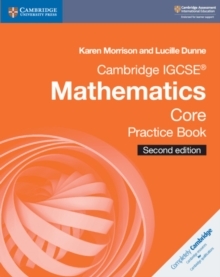 With a strong focus on developing problem-solving skills, reasoning and fluency, it helps students understand concepts, apply techniques, solve problems, reason, interpret and communicate mathematically. 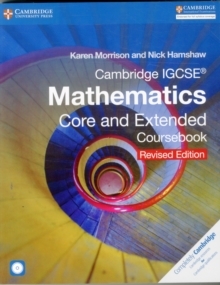 Written by experienced teachers, it also includes a solid breadth and depth of quality questions set in a variety of contexts. 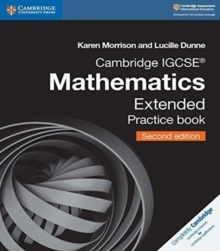 GCSE Mathematics Online - an enhanced digital resource incorporating progression tracking - is also available, as well as Problem-solving Books, Homework Books and a free Teacher's Resource.